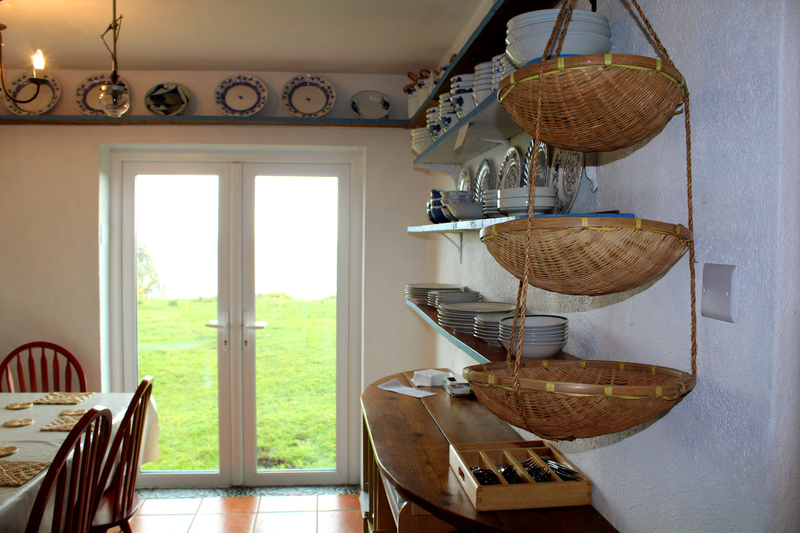 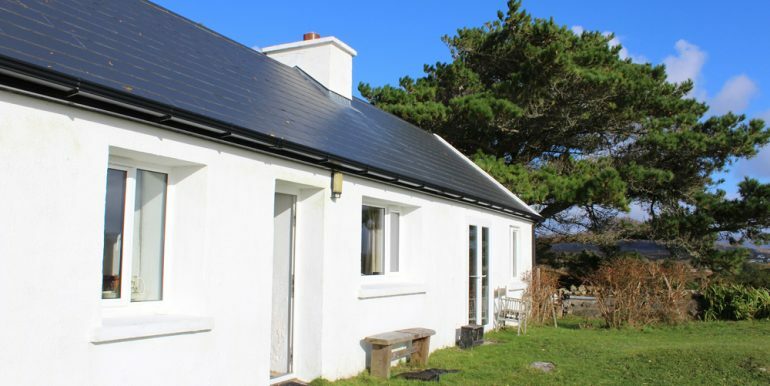 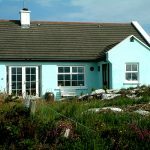 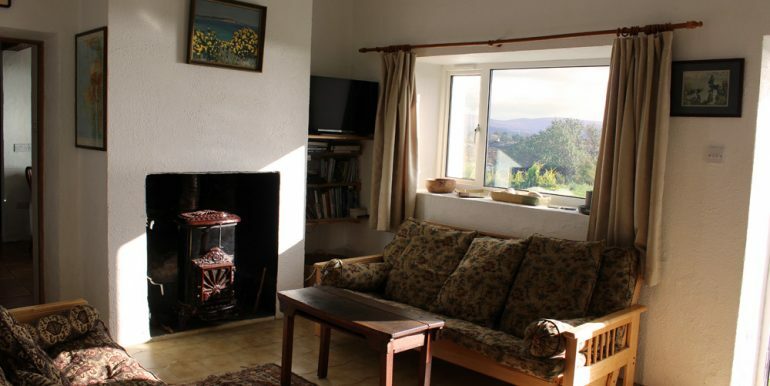 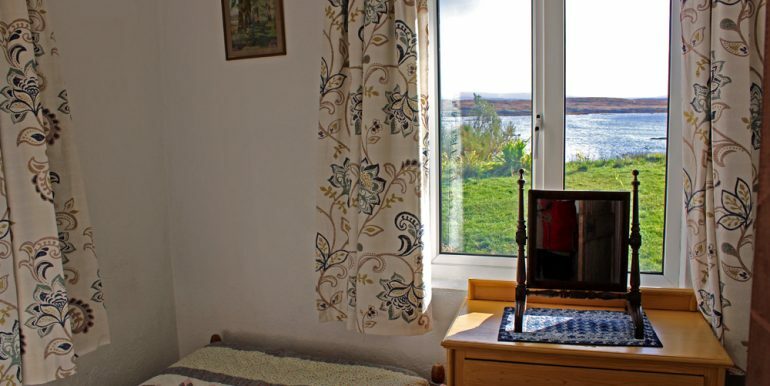 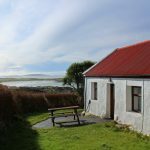 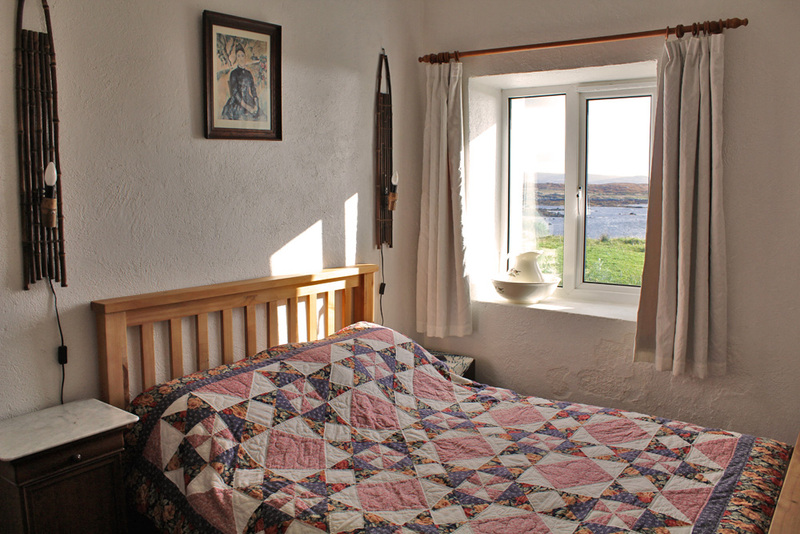 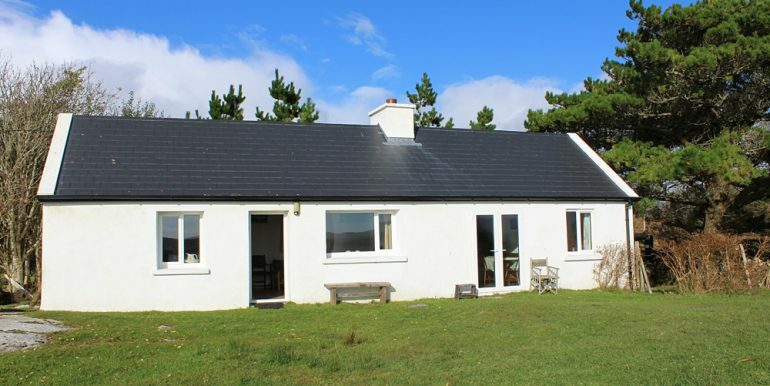 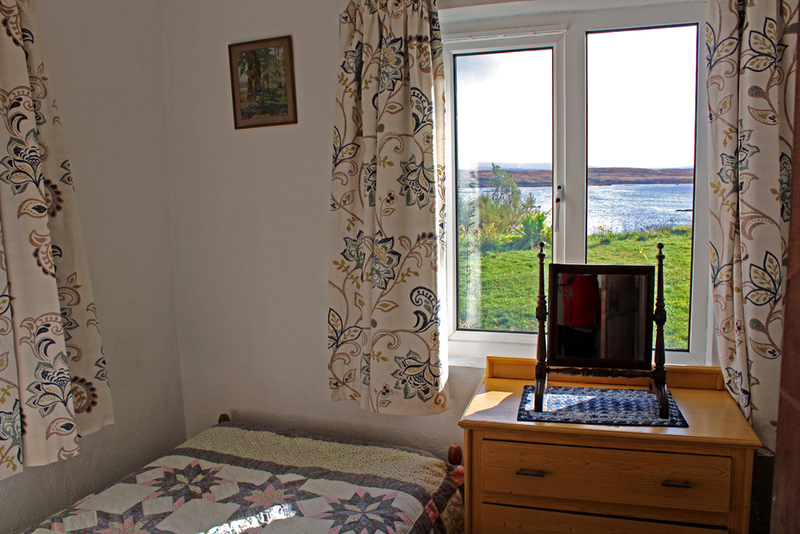 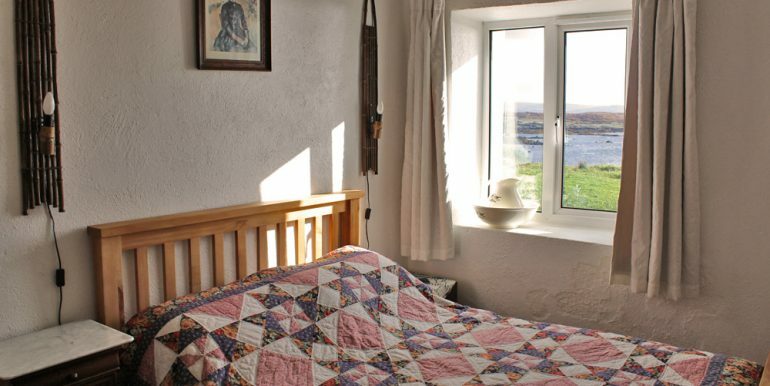 The cottage: An idyllically situated seafront cottage with panoramic views of the bay and surrounding mountains. 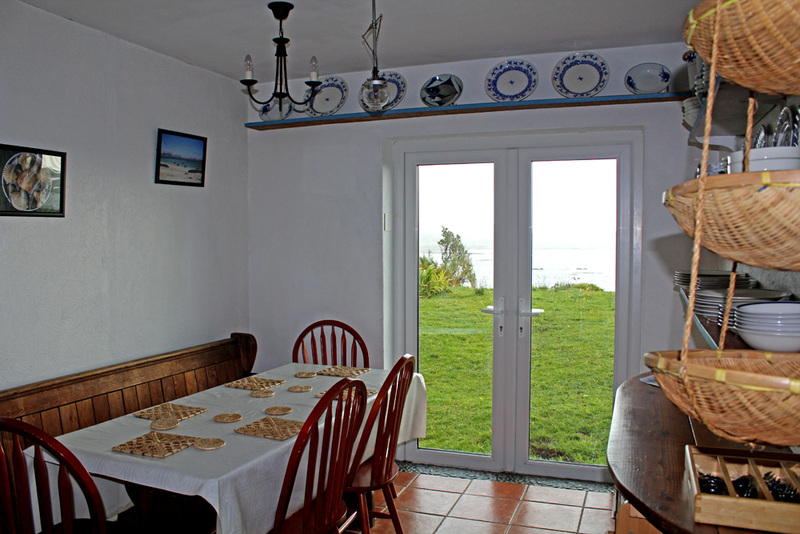 You can swim and fish from the bottom of the large front garden and explore the seashore for miles. 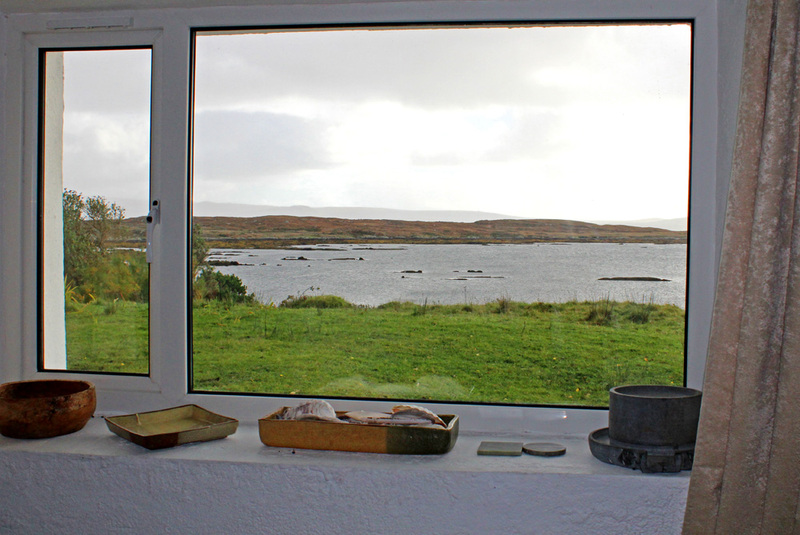 Seals and otters are frequent visitors. 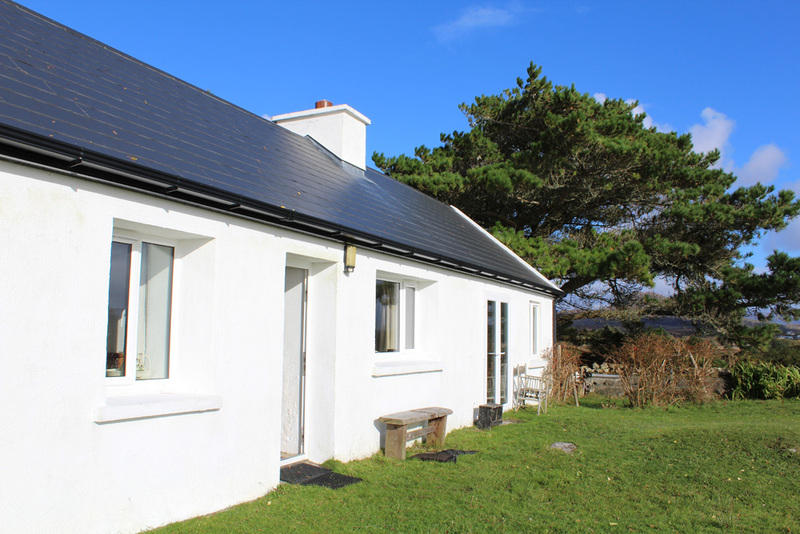 A short coastal drive leads to picturesque and lively Roundstone and its stunning beaches. 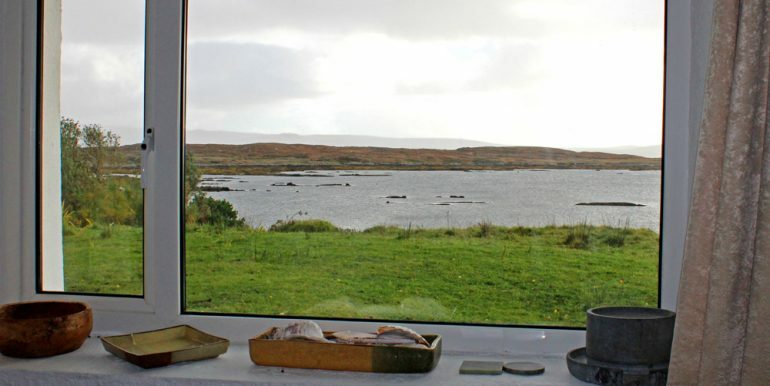 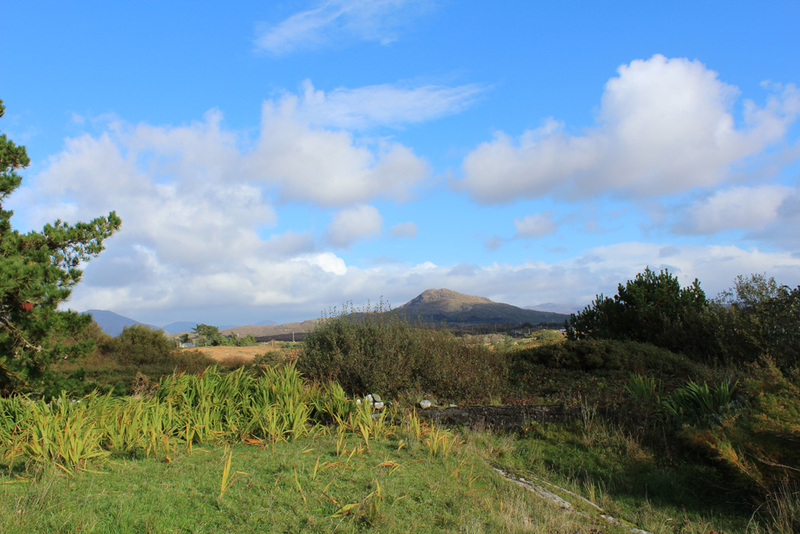 Further varied activities and restaurants are available in Clifden, about 20 minutes away. 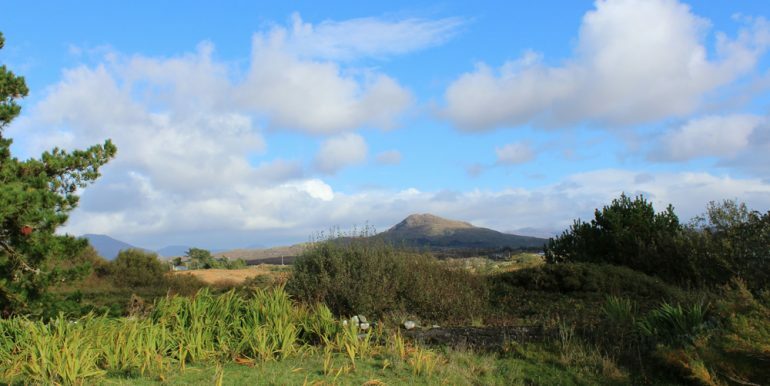 Wonderful cuisine and fishing are offered nearby at Ballynahinch Castle, Cashel House and The Zetland. 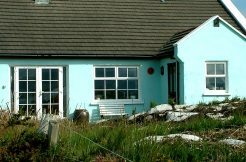 Johnny O’Loughlin’s Bar provides food and drinks in a casual atmosphere as well as music nights. 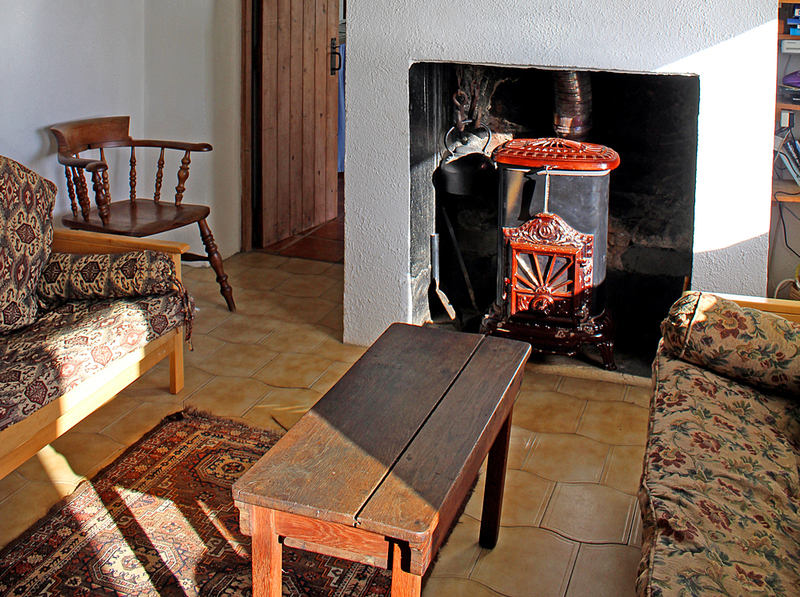 Inside: Central heating throughout. 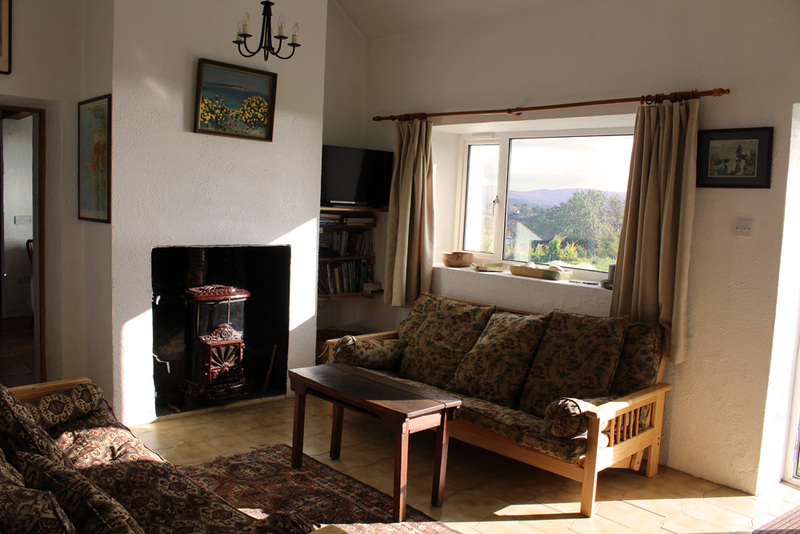 Sitting room with solid fuel stove, country style furniture, DVD player and flatscreen tv. 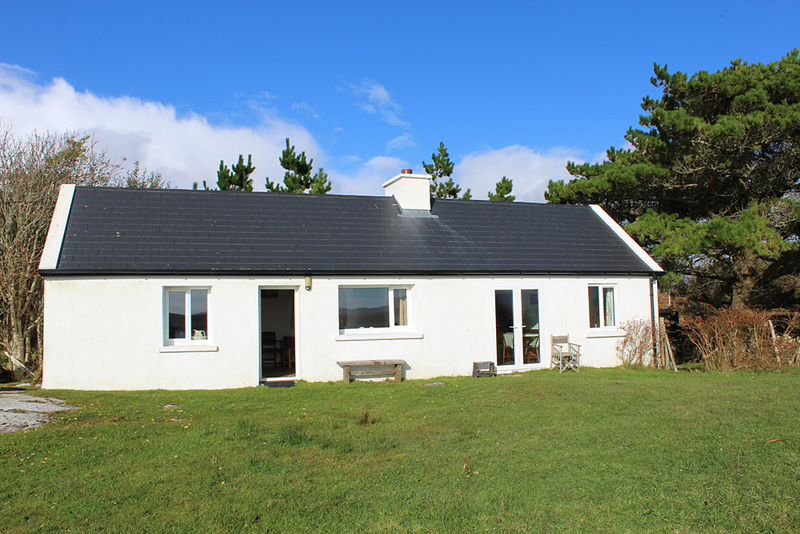 Four bedrooms with 2 doubles, 1 twin and 1 single. 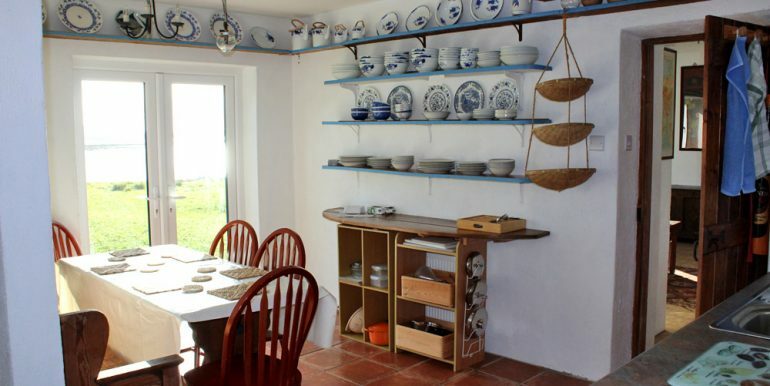 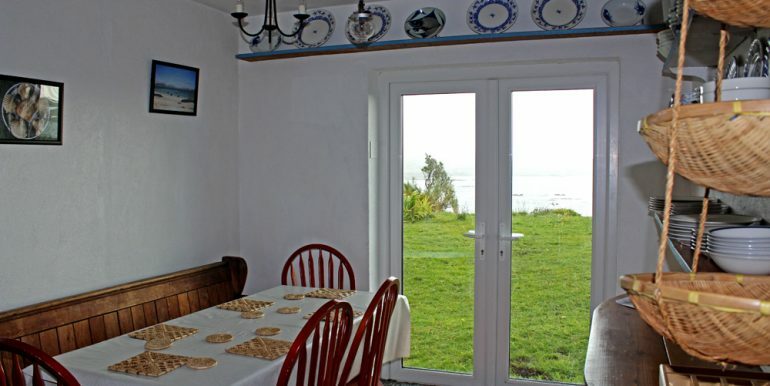 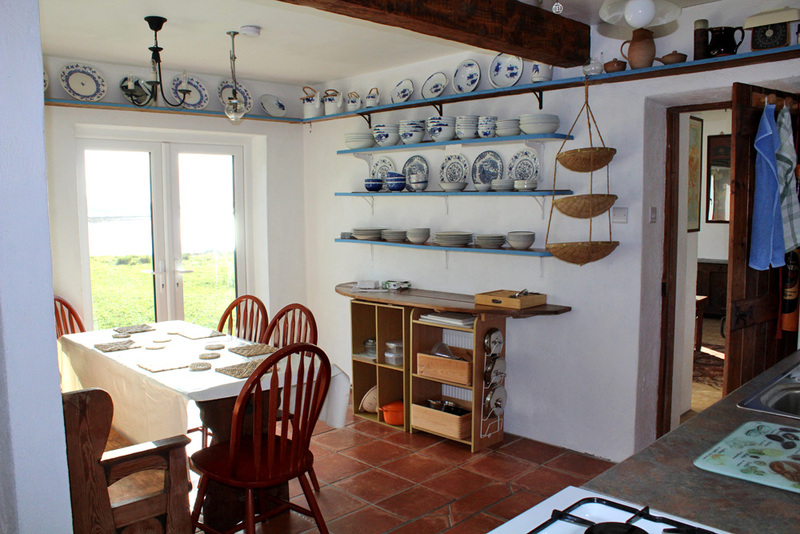 Separate country style kitchen/diner with character and French doors opening out to sea. 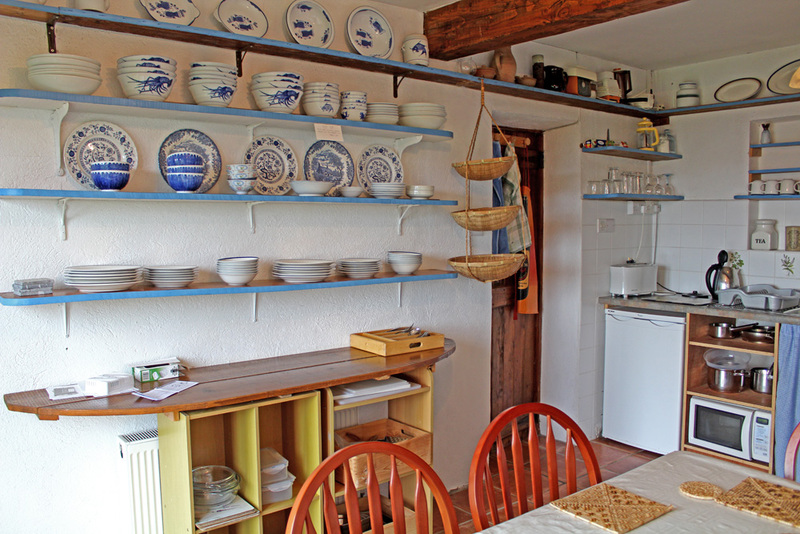 The kitchen has a dishwasher, microwave, fridge/freezer and gas cooker. 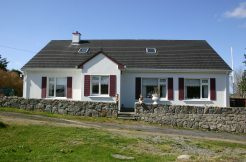 Bathroom with shower/wet room, toilet and basin and further bathroom with bath, shower, toilet and basin. 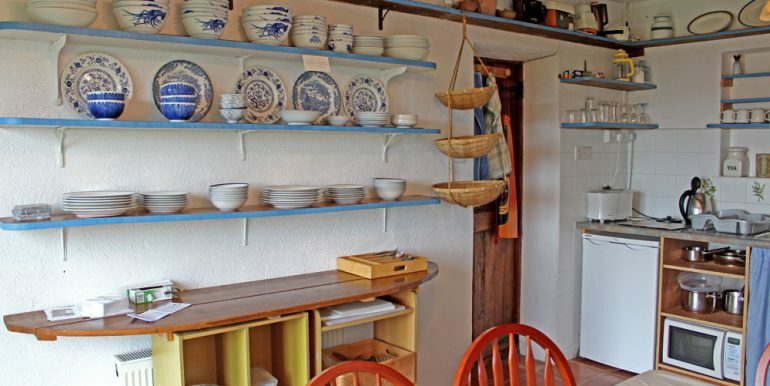 Separate utility area with washer/dryer. 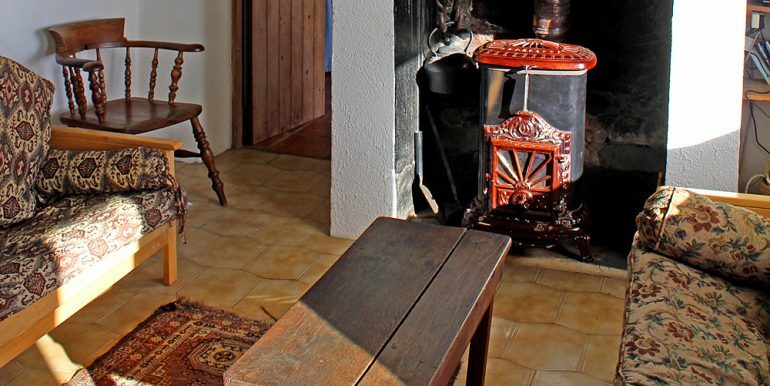 Tiled floors throughout. 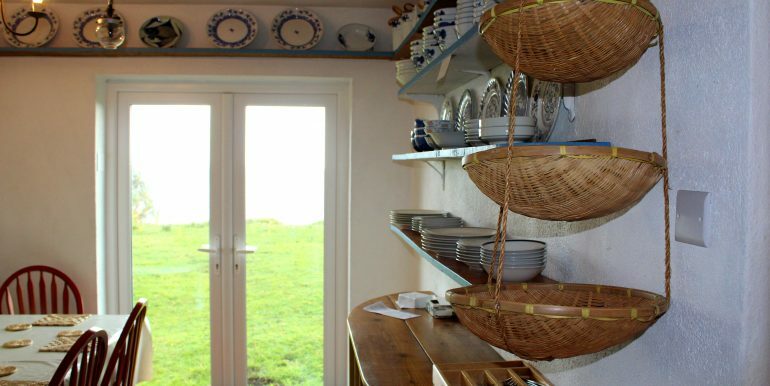 Two independent entrance porches with coat hanging and boot space.